Prosecutors have launched a criminal investigation after millions of eggs were either withdrawn from sale or blocked in Europe following chemical contamination. The Dutch food safety authority, NVWA, confirmed to the Ranger that the public prosecutor had begun a criminal investigation into a company involved in treating layers against red mite. The treatment, it seems, contained a toxic chemical called fipronil, which is banned from use on animals involved in the human food chain, including chickens. Eggs in the Netherlands, Germany and Belgium have been destroyed, withdrawn or blocked and well over 100 Dutch egg farms are still shut down whilst investigations continue. In the United Kingdom the British Egg Industry Council (BEIC) has circulated guidance suggesting that egg producers seek advice from their vet if they have any concerns. BEIC chief executive Mark Williams said in the circular: "As you may be aware, nearly 200 farms in the Netherlands have had restrictions imposed on them so they are not permitted to move eggs, manure and/or birds due to the use of DEGA-16. This is because fipronil has been mixed into the product. "BEIC has been advised that the company which has mixed fipronil into DEGA-16 is also known to have sold quantities to the UK, France, Germany and Poland as an effective product against red mite," said Mr Williams, although the Food Standards Agency says there is no evidence that any contaminated product has found its way into this country. Mr Williams said in the circular: "If producers do have any concerns, it is advised that they seek further advice from their vet," he said. Eggs have been withdrawn from sale in both Germany and Belgium after the Dutch authorities raised the alarm. "We work in a warning system with Brussels," said a spokeswoman for the NVWA. "If we find something then we can use this to let other countries know." The NVWA has made a list of egg codes that may have been affected by contamination. These have been circulated to other countries to prevent them being sold to the public. 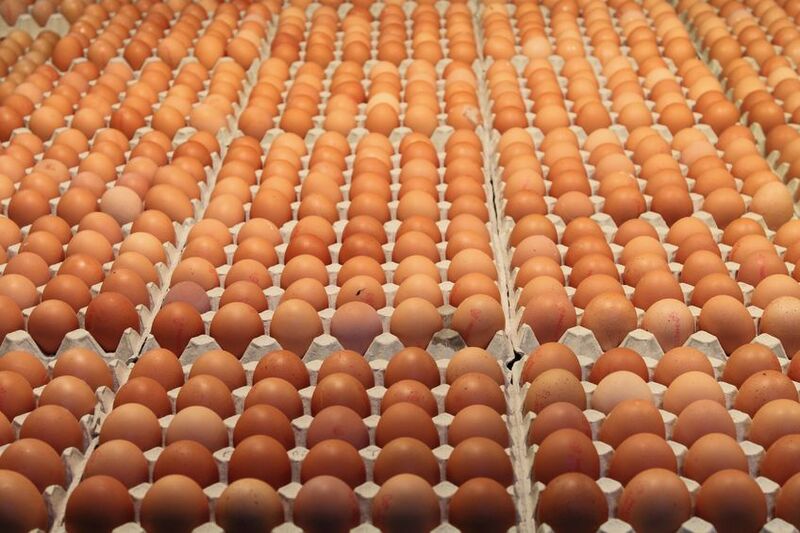 The NVWA spokeswoman said that restrictions remained in place on 138 farms producing eggs in the Netherlands. "This means that they cannot sell the eggs or bring them to market. They will have to be destroyed." She said that eggs were not allowed to be destroyed by producers, themselves; the work had to be carried out officially. She said it was unknown how long the restrictions would remain in place because the authorities were still trying to analyse results and understand how long the effect of the treatment would continue to contaminate eggs. She said that all the farms investigated for contamination had used the same company to treat their birds. "We know that from receipts at the farms." She said a criminal investigation had begun, although she understood that the company involved in the investigation was no longer operational. Reports suggest that the company obtained the pesticide it used from a supplier in Belgium. The Dutch egg industry organisation, Ovoned, has expressed anger at the contamination crisis. The organisation issued a statement saying that egg producers were innocent victims of something that should not have happened. It said farmers had contracted a company to treat their birds against red mite, expecting that the treatment used would be effective and safe. Ben Dellaert, director of Ovoned, as well as chairman of the International Egg Commission, told FarmingUK: "It turns out that several farms in the Netherlands, Germany and Belgium (and maybe other countries) have used a company for a treatment against red mite. "Now it turns out that the substance used contains fipronil, which is normally used against fleas on cats and dogs. Legislation forbids the use of fipronil on poultry." Mr Dellaert said that restrictions had been imposed on farms, meaning that eggs, birds and manure had to stay on the farm. He said restrictions could be lifted if the level of fipronil in eggs fell below a certain level. He said the egg sector, itself, had already blocked the affected farms, starting on July 22. This meant that packing stations would not collect eggs from these farms. NVWA told FarmingUK that treatment with the suspect chemical had been carried out on chickens over a period from January to July. It is feared that Dutch egg producers could face mounting losses as the restrictions continue. The country's biggest supermarket chain, Albert Heijn, reportedly announced that it was removing 14 different types of eggs from its shelves. Amongst the eggs it was removing were the company’s own brand free range and organic eggs. Jumbo, the second biggest Dutch supermarket group has also removed some types of eggs from its stores. In Germany - a big export market for the Dutch egg industry - supermarkets have also been removing eggs from shelves. It is thought that nearly three million eggs from companies affected by the fipronil treatment were delivered to Germany before July 22. According to the World Health Organisation, fipronil is a "moderately toxic" chemical, although in high concentrations it can have a dangerous effect on kidney, liver and thyroid gland function.